We’re recently bought a couple of Apple’s latest iteration of the iPod touch. 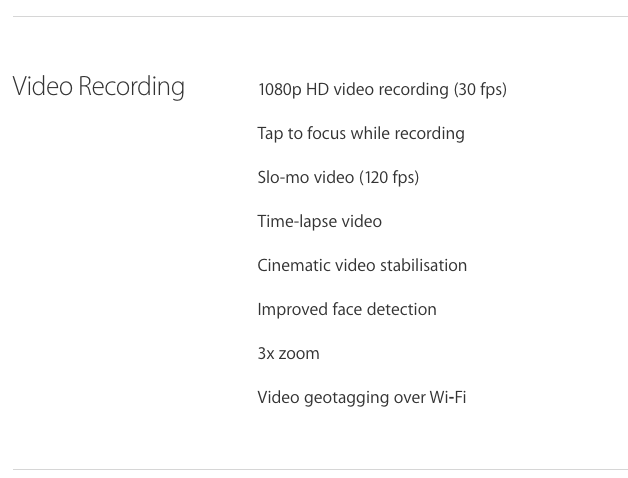 I’ve been testing it for the last few days and I have to say – this really is a great budget #mojo solution. I’ve tested our preferred video App: FilMiCPro on it and it works fine with only one little bug* which is in full manual focus mode, when you slide the control bar on the left to set a focus point the iPod Touch Autofocus overrides it. But that may well be something that the FilMiC team can sort out. 1080 25p works perfectly. The camera is the same 8MP iSight as used in the iPhone 5 (which was pretty damn good) though aperture is f2.4 whereas 5s/6/6plus all have f2.2. If you buy the new iPod Touch you get iMovie free (as well as a selection of other Apple Apps) and the great news is Audio In via lightning works perfectly too. I tested the Sennheiser ClipMic Digital and the iKMultimedia iRig Pro with the AKG 417pp Lav mic. Speaking of the Sennheiser ClipMic Digital I found it for under €200 on the Thomann website thats the cheapest price I’ve seen anywhere (so far). When you think about the inspired project that BBC’s Nick Garnett initiated with Dr. Alex Kumar during the Ebola crisis, where, with a previous generation iPod touch, Dr. Kumar shot first person iWitness content on the ground at one of the Ebola Treatment centres and it auto transferred back to BBC via Dropbox whenever the iPod was connected to WiFi. it suggests to me that the iPod touch may well be the perfect solution for Hyperlocal content creation or NGO projects. Remember you can pair the iPod to any smartphone via WiFi tethering to allow it to livestream and transfer so you are not restricted to just fixed wifi spots for connectivity either. If you go for the 128Gb version of the new iPod Touch it is less than half the price (€469 in the Irish Apple Store) of the 6plus 128Gb (€999) version – thats one hell of a saving!